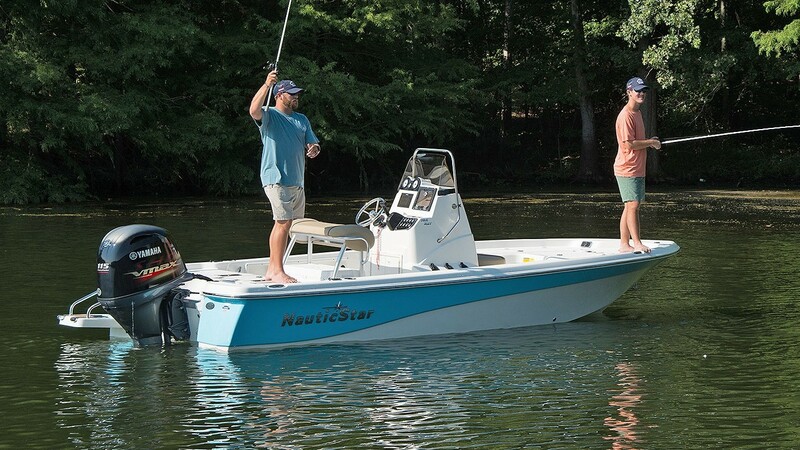 NauticStar’s all new 195 NauticBay is a boat for the serious angler who wants big time features in a smaller horsepower package. The 195 is also available with the XTS (Extreme Tournament Series) Package which adds even more fishability! 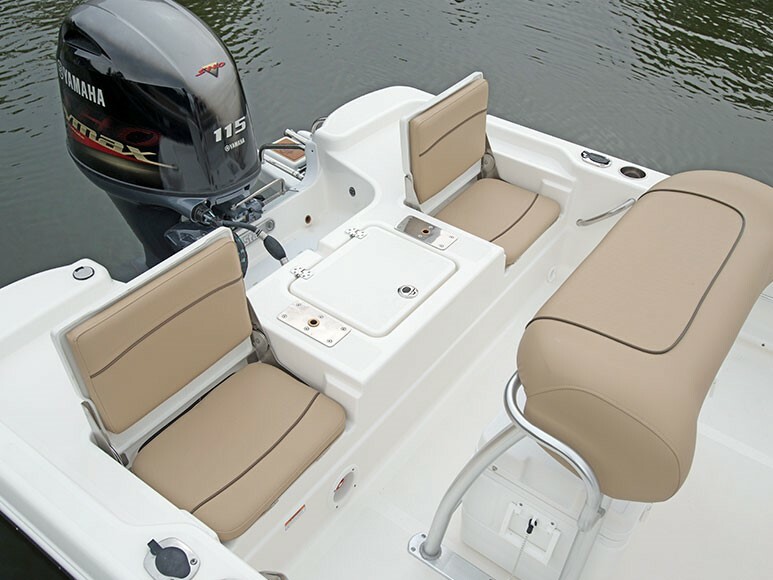 Standard features include rear fold down jump seats, an aft release well and a console baitwell. The unique front deck houses a top entry rod locker, bow storage and an insulated fish box. The 195 is available with up to a 150 HP Yamaha. It runs great with a 90, but the new Yamaha VF115XA SHO is sure to be a popular motor package to get you to the catch quick! 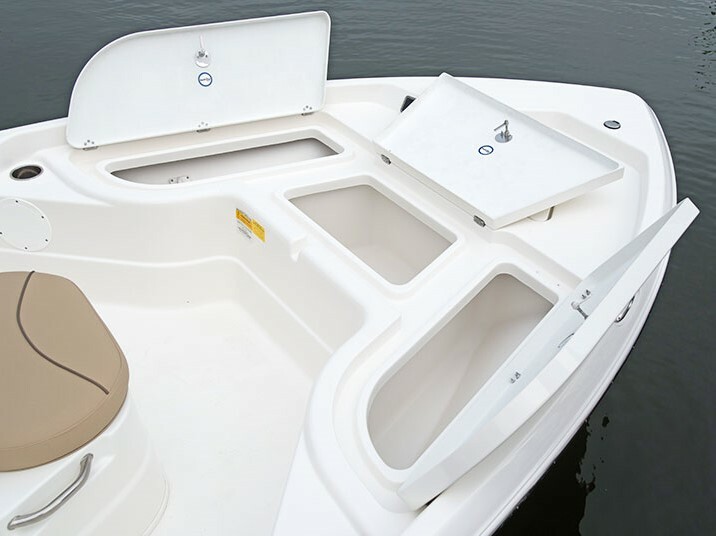 The 195 has a port side rod box, a center storage box, and a starboard insulated fish box with overboard drain. Two rear jump seats flip-up for passenger comfort while headed to the catch. They fold down to form a fishing deck. Between them, there is a 27-gallon live well. With the hatches closed the bow forms a nice size fishing platform. 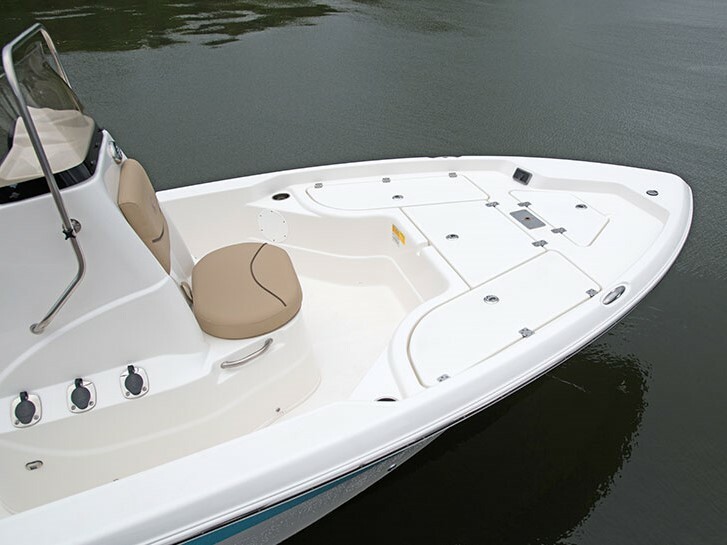 The bow also has 2-stainless steel cup holders and trolling motor quick disconnect. 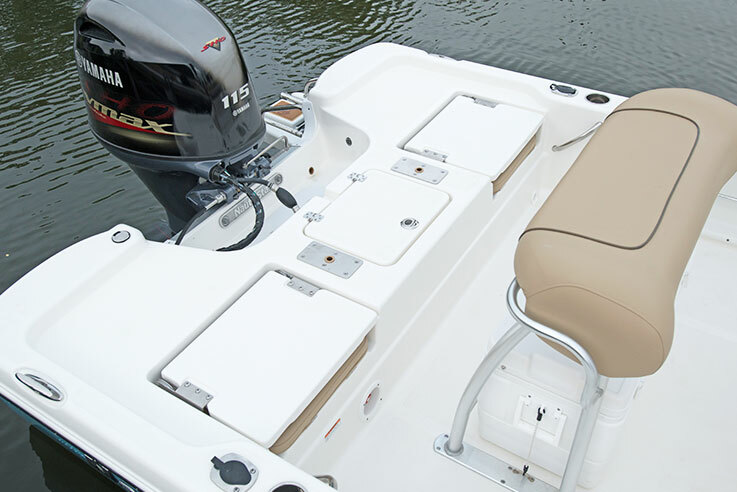 With jump seats in the flipped-down position, the 195 has a nice size rear fishing deck.